WASHINGTON (Bloomberg) -- Nissan Motor Co. plans to expand a regional U.S. recall of cars with potentially defective Takata Corp. airbags after a woman said she was injured last month by shrapnel from the device in her 2006 Sentra sedan. Nissan planned to file an incident report with the U.S. National Highway Traffic Safety Administration late Thursday to expand its recall, a company spokesman, Steve Yaeger, said in an interview. The expansion will cover Sentras from the 2004 to 2006 model years that weren’t part the earlier regional recall, Yaeger said. Regulators are investigating airbag inflators that may malfunction, deploying with so much force that the part breaks and hurls metal shrapnel at the car’s occupants. At least five fatalities in the U.S. and more than 100 injuries have been reported industrywide. Earlier Thursday, lawyers for 20-year-old Sabra Wilson, who suffered cuts, burns and partial hearing loss in a March 21 accident in Louisiana, filed a lawsuit alleging the Sentra’s passenger-side airbag deployed even though no one was in the seat. 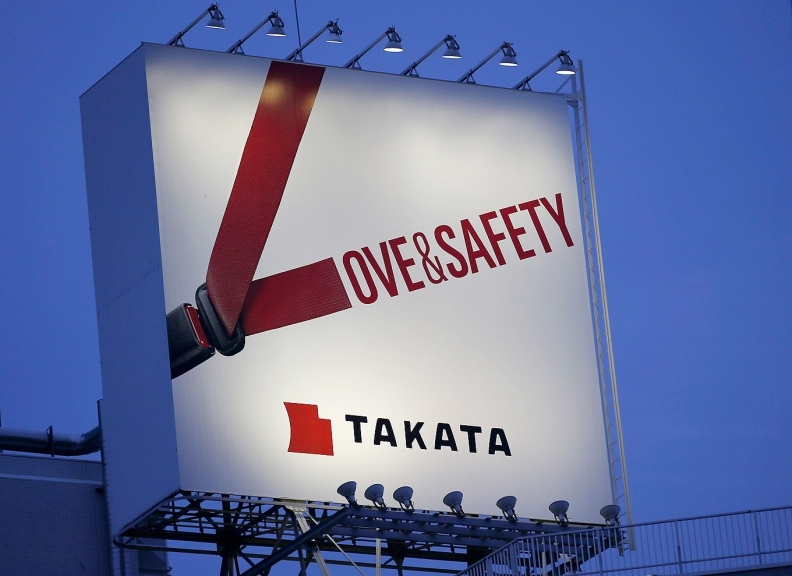 Ten automakers, including Nissan, Honda Motor Co. and Toyota Motor Corp., since 2008 have recalled about 24 million vehicles globally with Takata airbags, according to Reuters estimates. Last year, five automakers upgraded recalls for drivers’ side air bags at NHTSA’s urging. Nissan had already recalled more than 600,000 vehicles to fix passenger-side airbags, though not for the model Wilson was driving. In 2013, Nissan initially recalled 438,302 cars in the U.S., including the 2001-2003 Maxima, Pathfinder, Infiniti I30 and I35 and the 2002-2003 Sentra and Infiniti QX4 and the 2003 FX. It expanded the national recall by an additional 226,326 vehicles last June. Also last year, the company initiated a separate regional recall in the high-humidity regions of Florida, Georgia, coastal areas of Alabama, Louisiana, Mississippi and Texas, as well as Hawaii, Puerto Rico, and tropical U.S. territories. That action covered the 2003-2004 Pathfinder, the 2004-2006 Sentra, and five Infiniti models: 2003-2005 FX35 and FX45, the 2003-2004 I35 and the 2006 M35 and M45. Yaeger said Nissan will begin notifying affected owners about the expanded recall within 60 days.